Hit songs about the tragedy of heartbreak are a dime a dozen. Hit songs about the tragedy of a boatful of men sinking to their doom? Not so much. 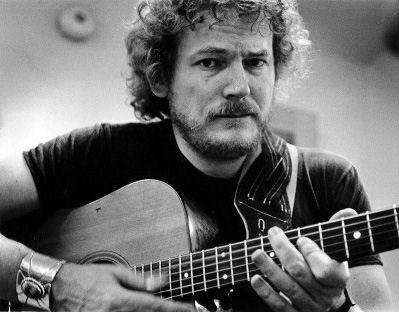 Gordon Lightfoot grew up in the Great White North and became a well known presence in the Toronto folk clubs in the 1960’s. He scored a couple of hits on the Canadian charts, but if Americans knew him at all it was primarily as a name from the songwriting credits on albums by such artists as Judy Collins, Elvis Presley, Peter, Paul & Mary, and many more. Marty Robbins went to #1 on the US Country chart with Lightfoot’s “Ribbon Of Darkness,” but Gordon’s own renditions left little impression at the time. Everything changed as a new decade dawned and the early 70’s spawned the singer-songwriter movement. People couldn’t get enough of acoustic troubadours and their mellow, reflective music – the polar opposite of all that freaky 60’s psychedelia. All of a sudden, Gord was gold, peaking in 1974 with a #1 song (“Sundown”) and a #1 album to go with it. This popularity laid the groundwork for his next, and final, bestseller. In November of 1975, the freighter SS Edmund Fitzgerald, carrying a cargo of iron ore pellets to Detroit, capsized in Lake Superior when a hurricane-force storm caught the ship in its clutches. Two weeks later, Lightfoot read a brief article in Newsweek about the maritime tragedy and decided to tell the tale as a folk ballad. Having spent his life sailing on The Great Lakes, he felt a kinship with the sailors who gave up their lives to the very same waters. Acutely aware he was dealing with a true story – and with still grieving families – Lightfoot agonized about changing a few of the historical facts, until his producer told him the song’s impact would be stronger, and the lost men better served, if he favored art over accuracy. Lightfoot made the changes, and when it came time to record his haunting new song, turned off all the lights in the studio except for the one tiny bulb shining on his lyric sheet, and sang every verse as if his voice and words alone could fight off the surrounding gloom. 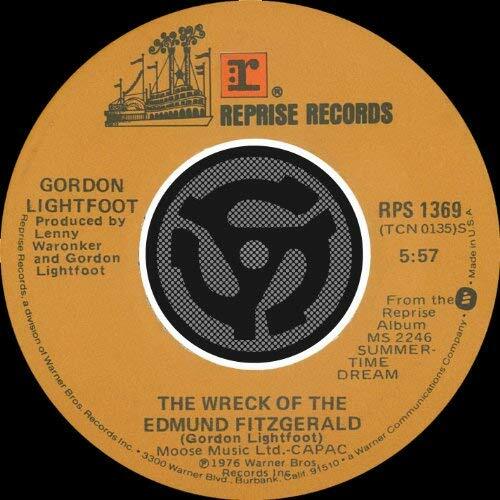 Released as a single in the late summer of 1976, “The Wreck Of The Edmund Fitzgerald” peaked at #2 on the US charts in November, almost one year exactly after the ship went down. Lightfoot never wanted to be seen as exploiting the tragedy, and has played numerous benefits and memorials over the years, as well as maintaining personal contact with the families of the crew members. So toll the bell, and remember them well, every November …. with Gordon Lightfoot.